Our SharePoint Consultants are fully qualified experts in deploying, developing, supporting and increasing adoption of SharePoint. Our SharePoint Consultants have worked with some of the largest SharePoint deployments across the UK. We have a wide range of specialists that have used every version of SharePoint. Valto’s team of fully qualified SharePoint Consultants provide clients with dedicated advice to help them migrate documents into the cloud and get the most value from the document management and intranet functionality SharePoint has to offer. Our team have substantial experience in creating comprehensive SharePoint solutions for our clients that focus on business automation and cloud storage that is both secure and cost effective. At the start of all SharePoint projects, Valto’s SharePoint Consultants work with our clients to gain a full understanding of their requirements. We organise a programme of workshops for requirement finding so that we are able to build a picture of how you currently work and then how SharePoint can make it more efficient. Our team have a full understanding of SharePoint and know the best practises for delivery a successful intranet or automation solution with full cost management so you never go over budget. Contact us today to find out more. Find out how Valto SharePoint Consultants can help your business. Call now on 03335 779 009. Valto work with our clients to get the very best from Microsoft’s SharePoint. Our SharePoint Consultants design and build solutions that are cost effective, secure, comprehensively supported, and flexible. Our team conduct a series of SharePoint workshops to gain a full understanding of client requirements including current business processes and budgets. We’ll work with you to gain a comprehensive understanding of your IT Strategy and then analyse your current application suite to determine the requirements that you have as a business and create a scalable solution that can grow with you to meet future demand. 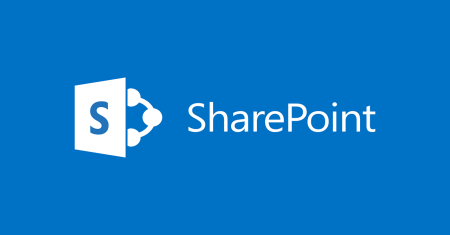 In addition to working to help clients migrate to SharePoint Online or SharePoint 2016, our consultants can also provide support and guidance for existing users to help them take advantage of the full capabilities of the SharePoint install they already have. When you’re starting a SharePoint project, it’s essential to choose a partner who is experienced and puts your needs first. We work with you to provide a solution that is fit for purpose, within budget and delivered to a high standard in a timely manner. Contact a member of our team of SharePoint Consultants to find out how we can help you today.